As most likely you did document migration to a new storage or you reorganized folders or server structure or you moved document to the SharePoint so now you are in situation that links in moved documents are broken. 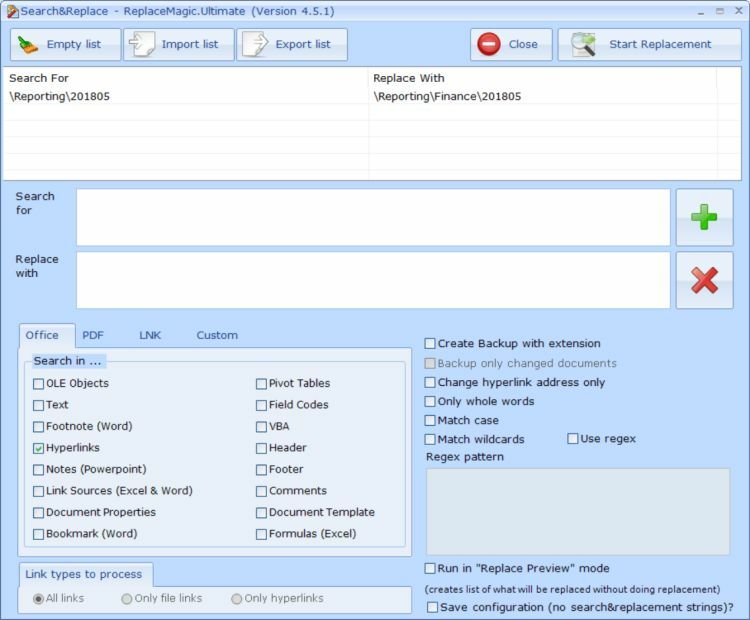 Based on models above you can see what is the approach to make changes with ReplaceMagic. 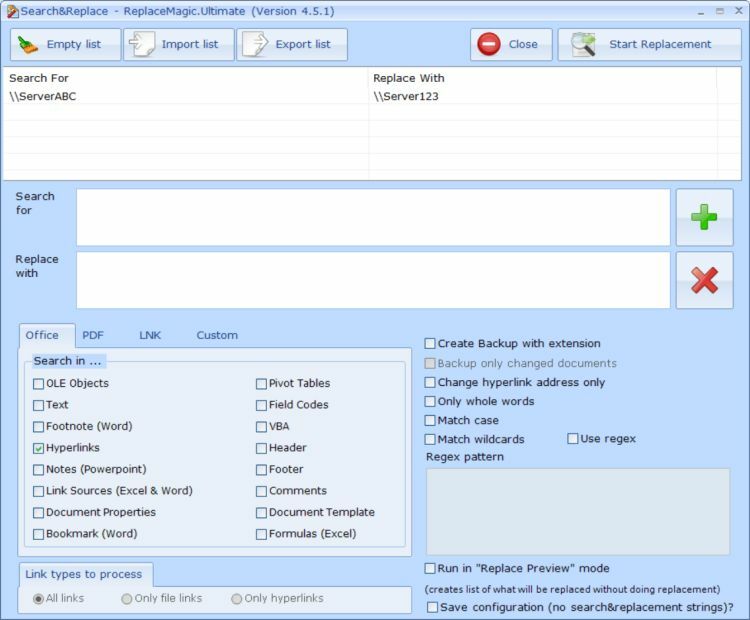 Other offered options are that ReplaceMagic makes backup of your documents (you can set backup of all found documents (please pay attention to have enough space) or only backup of modified documents). In case of native connectivity to SharePoint backup will not work as it is should be controlled through versioning feature of SharePoint.